Like us, you’re passionate about single-vineyard wines. Well, we’re excited to announce that in December we will be kicking off a series of Nickel & Nickel vineyard profiles, going “in depth” behind your favorite wines–and maybe wines you haven’t enjoyed yet. We’ll dedicate each month to a vineyard, with several posts focusing on different aspects: geography, viticulture and characteristics of the wine produced. Perhaps you’ll be inspired to taste some of the wines resting in your cellar–or maybe you’ll branch out and try something new! 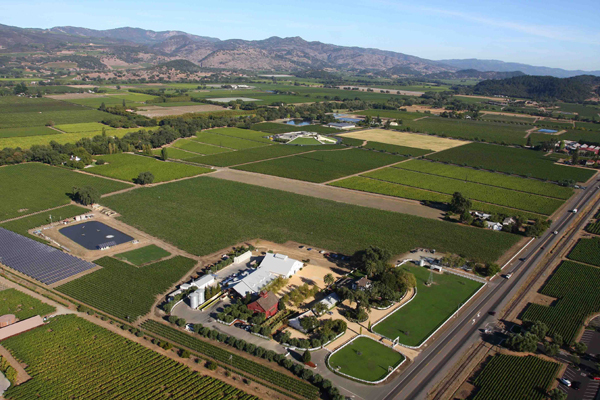 First up, our home vineyard: John C. Sullenger Vineyard, which surrounds the Nickel & Nickel winery, pictured below.